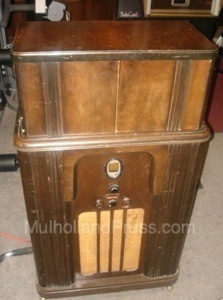 This small walnut finished Radiobar was a popular entry-level set and is frequently found today. 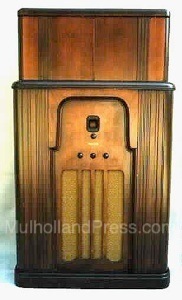 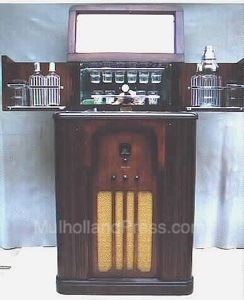 In 1937, it was equipped with the Philco 37-60 radio (5 tubes), or the 37-84B (4 tubes - see first photo below). 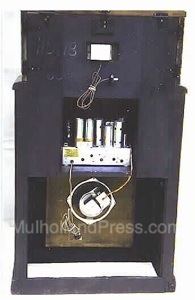 The set in the third photo below appears to have either the Philco 37-33 or the Philco 38-93 chassis, again with 5 tubes. 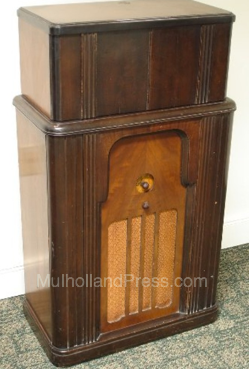 The cabinet was 44” high, 37” wide and 13” deep closed. 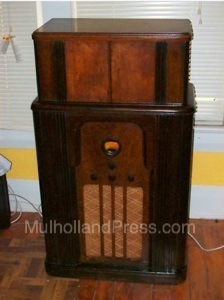 In open position the cabinet was 54” high and 45” wide. 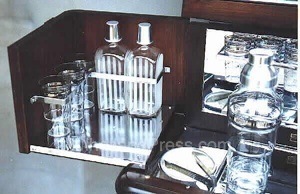 Bar equipment consisted of six each of three sizes of glasses, four decanters, funnel, bitters bottle, shaker, stainless steel knife, bottle opener, corkscrew and a bin for ice.